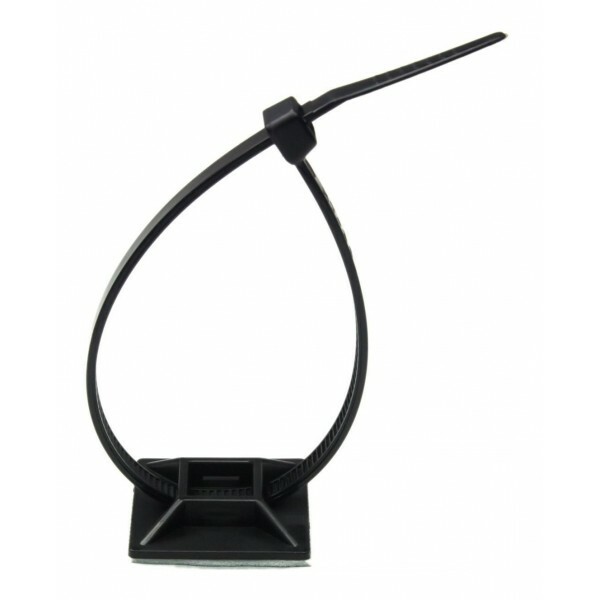 Black Cable Tie Mounts are used for cable management and organization. 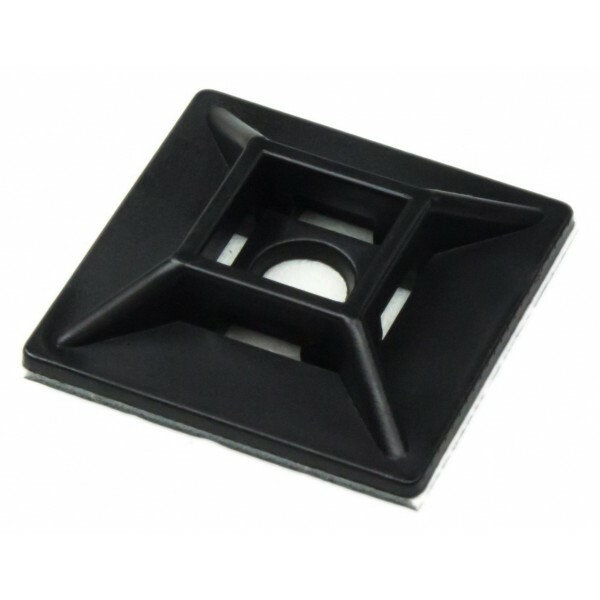 The mounts have an adhesive backing as well as a screw hole for multiple mounting applications. 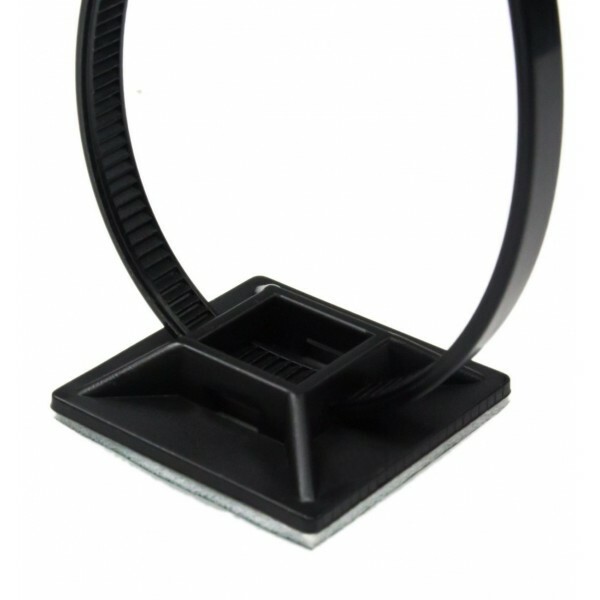  A pack of 25 Cable Tie Mounts can be used to organize 1-5 desks depending on your application.